Marcelle enjoys preparing delicious meals for family and friends. She especially loves creating original plant-based, vegan recipes. 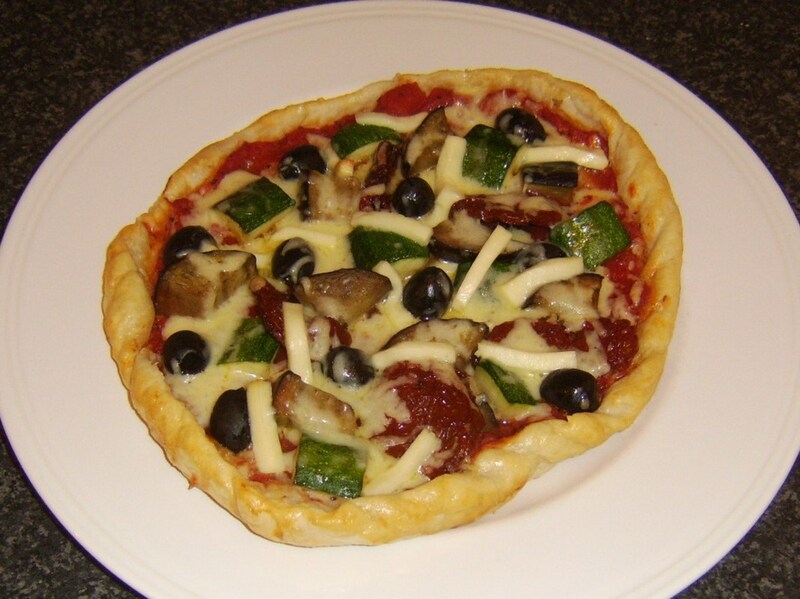 Create a delicious, homemade vegetarian pizza from crust to sauce to healthy toppings. This healthy pizza crust packs fiber and protein using a blend of whole wheat, all-purpose, and soy or garbanzo bean flours. The low-sodium pizza sauce recipe is simple to make and will rival in taste anything you could purchase in stores. The topping ideas will add even more nutrition and flavor to your pizza and might even inspire you to come up with toppings of your own. The origins of early “pizzas” can be traced back as far as the Neolithic age. Throughout ancient history, people have been adding toppings to breads. Tomatoes didn’t make an appearance until the 18th century, when citizens of Naples began adding tomato to their flat breads. Americans had brought tomatoes to Europe in the 16th century but for many years, Europeans thought the fruit to be poisonous. 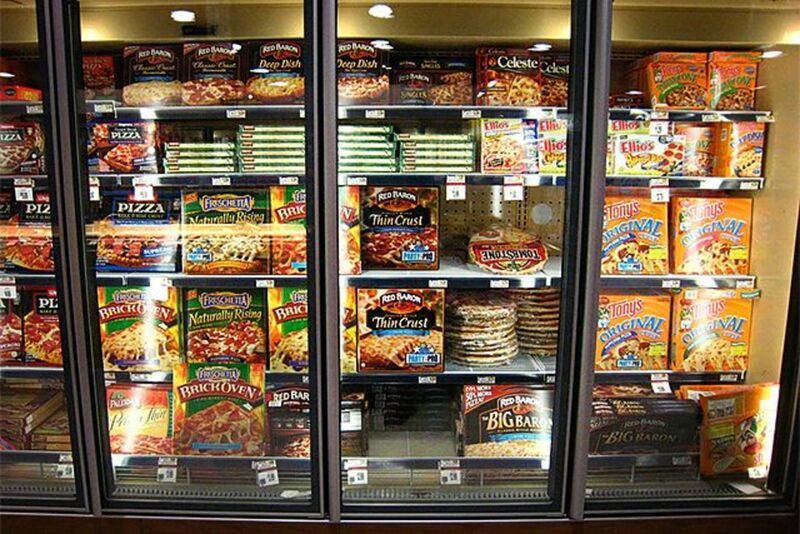 Frozen pizzas are filling shopping carts all over America. 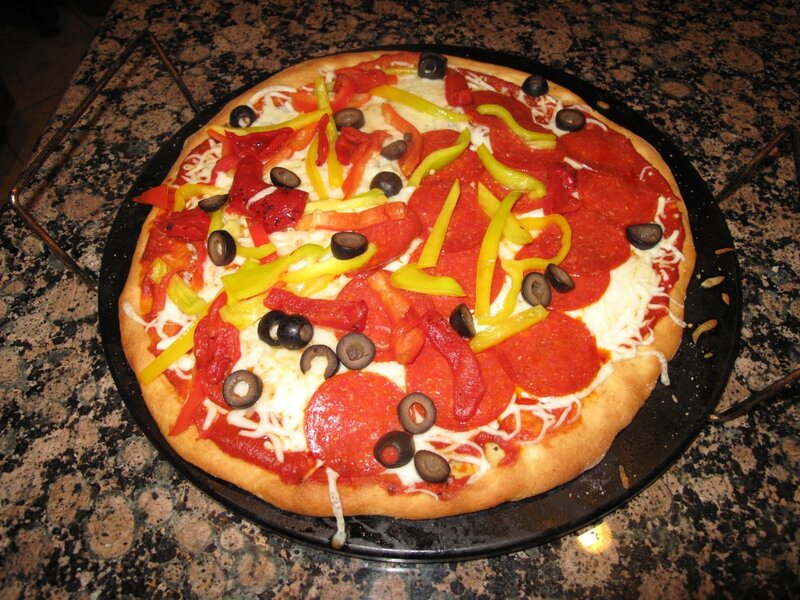 The top 10 frozen pizza brands alone generated over $4.4 billion in sales in the U.S. in 2013. While frozen pizzas are convenient and recent brand additions have brought taste variety to the market, the nutrition profile and overall taste cannot compete with a homemade pizza. The scorecard below highlights nutrition information of five grocery store brands, two in the organic market, and a slice of homemade pizza. The homemade pizza scores much higher in fiber, lower in calories and fat, and less than half the sodium. Soy or garbanzo bean (chickpea) flour replaces half of the all-purpose flour in this recipe to increase the protein content and improve the nutrition profile overall. It provides a subtle nutty flavor to this healthy crust. 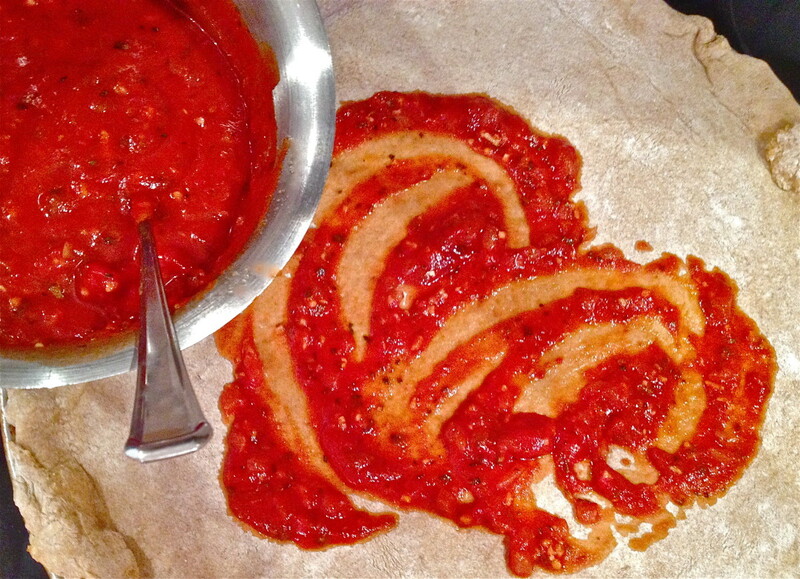 After you've made your crust, scroll down for a delicious, low-sodium pizza sauce recipe. 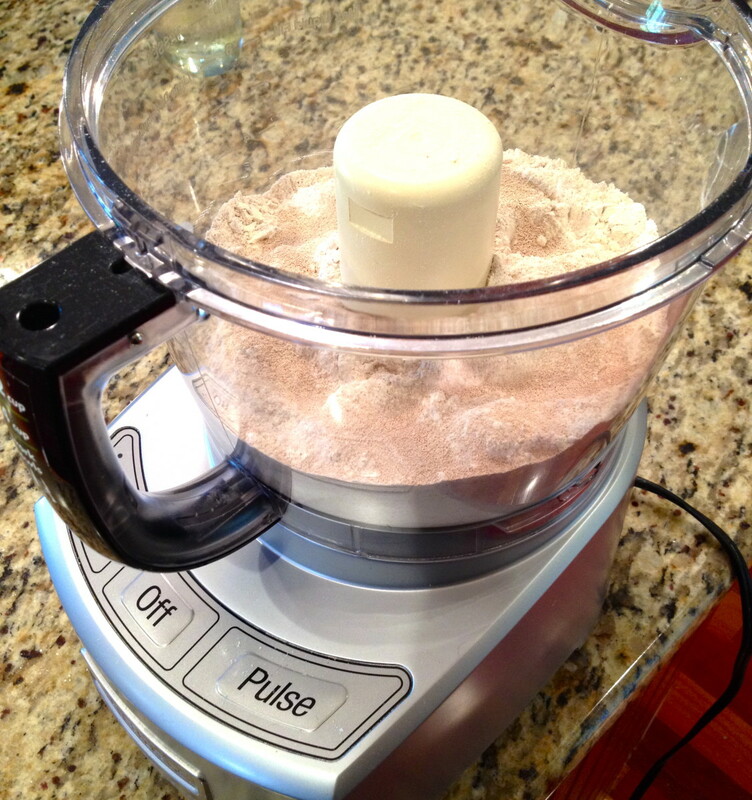 Combine flours, yeast, and sugar in a food processor. Pulse to mix ingredients. Combine hot water with olive oil in a measuring cup. Turn the food processor on and gradually pour in the liquid until the mixture forms a sticky ball. If it seems to dry, add additional hot water one tablespoon at a time. If it seems too sticky, add additional flour, one tablespoon at a time. Process for an additional minute. Spray a plate and one side of a sheet of plastic wrap with cooking spray. 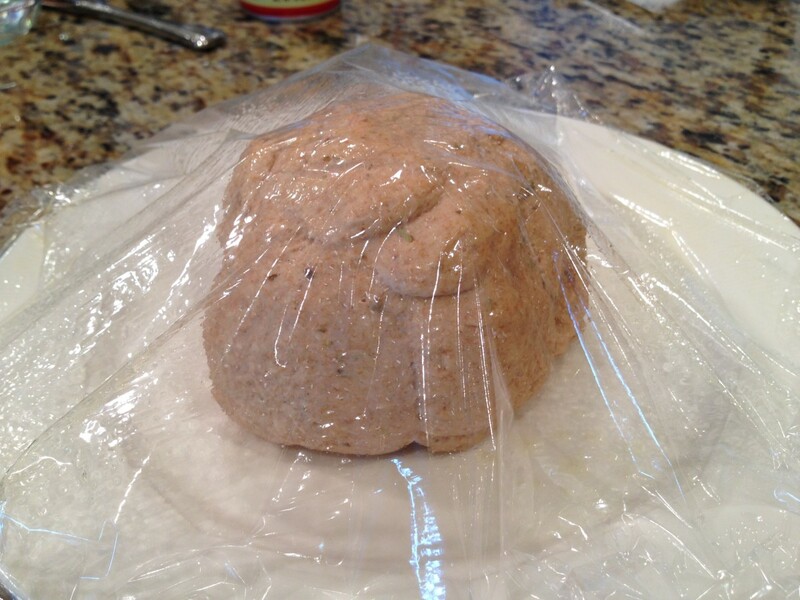 Place the dough on the plate and cover, sprayed side down, with plastic wrap. Let dough rest for 15-20 minutes. Preheat oven to 450 degrees F. If using a pizza stone, place stone in heated oven on the middle rack for 15-20 minutes before placing rolled dough on top. 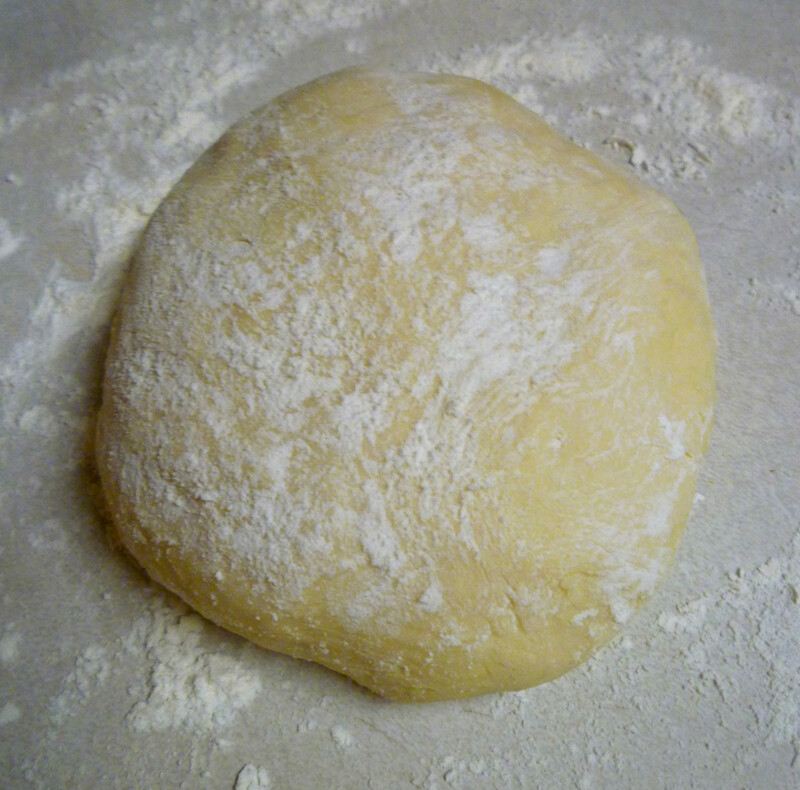 Roll out pizza dough on a floured surface to about a 14-inch circle. Carefully transfer dough to heated pizza stone (or other pizza baking pan) and bake until the pizza crust is crisp and golden, about 5-8 minutes. To create the pizza, assemble pizza sauce and toppings on the baked crust and return to oven for an additional 8-10 minutes. 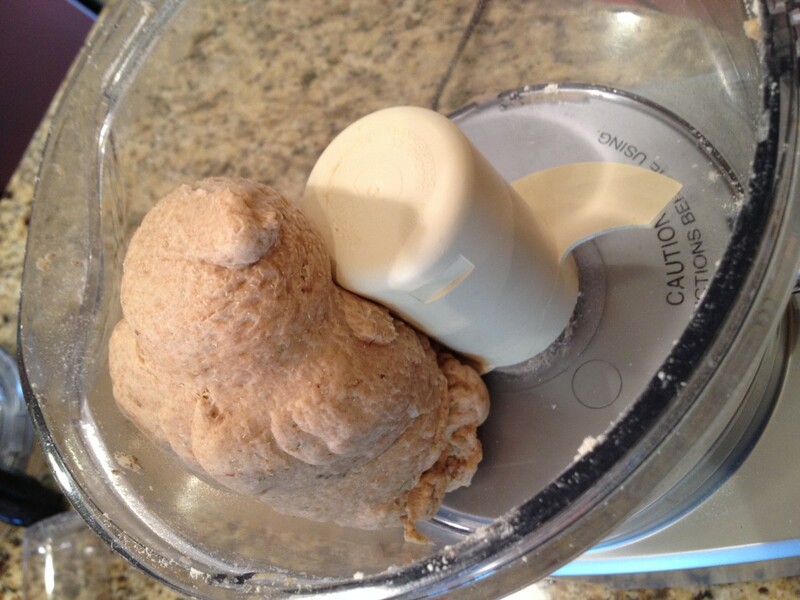 Combine flours, yeast, and sugar in a food processor. Pulse to mix ingredients. Combine hot water with olive oil in a measuring cup. Turn the food processor on and gradually pour in the liquid until the mixture forms a sticky ball. Add additional water or flour if needed. 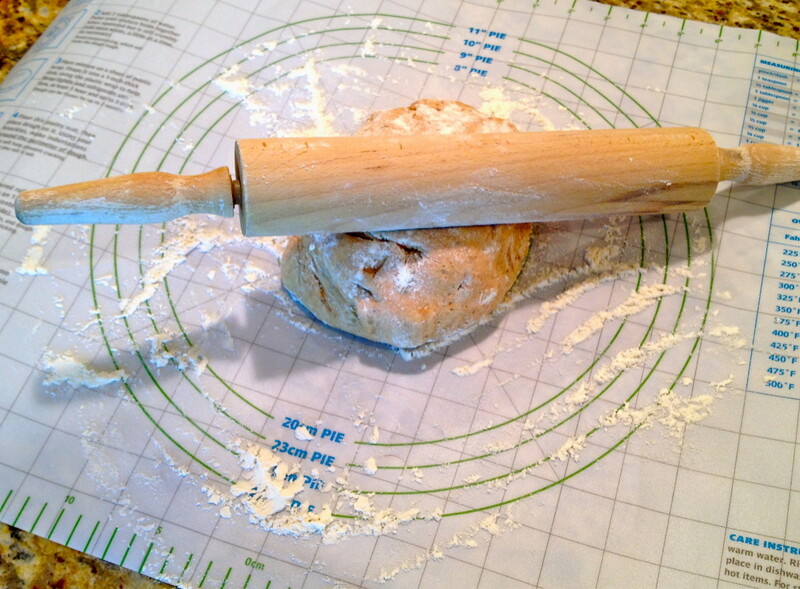 Use a silicone mat like the one below that is marked with circles to indicate how much to roll the dough. 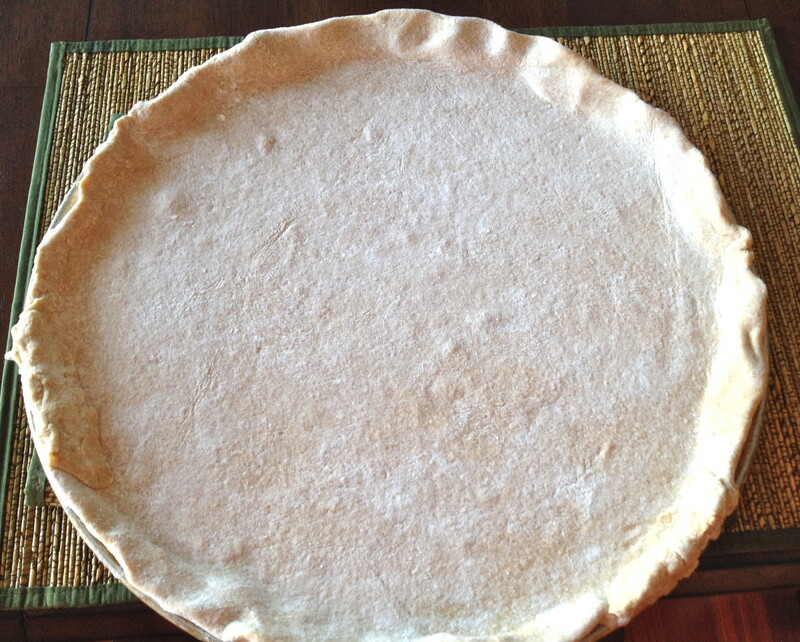 Adjust the circle to your pan size and also to the desired crust thickness. 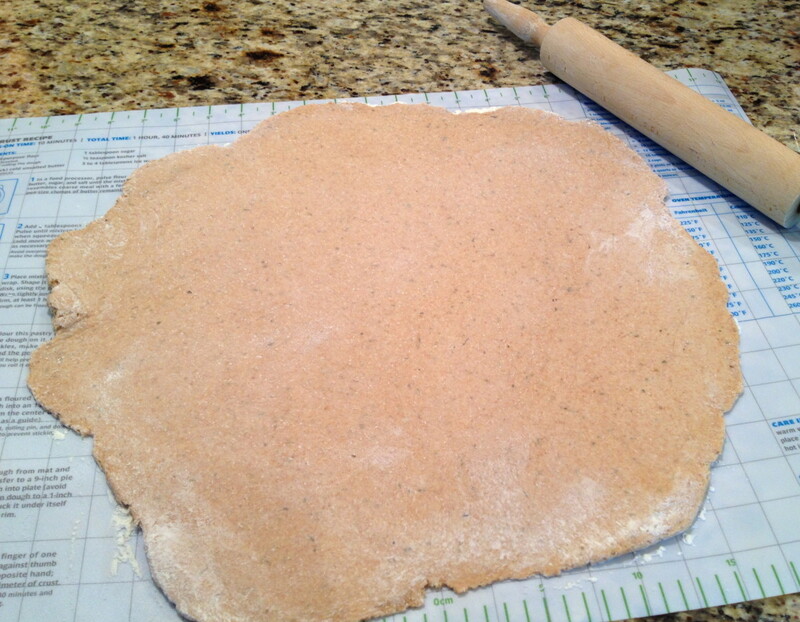 Roll out pizza dough on a floured surface to about a 14-inch circle. Carefully transfer dough to heated pizza stone (or other pizza pan). Bake crust until crisp and golden, about 8-10 minutes. Top with homemade sauce. 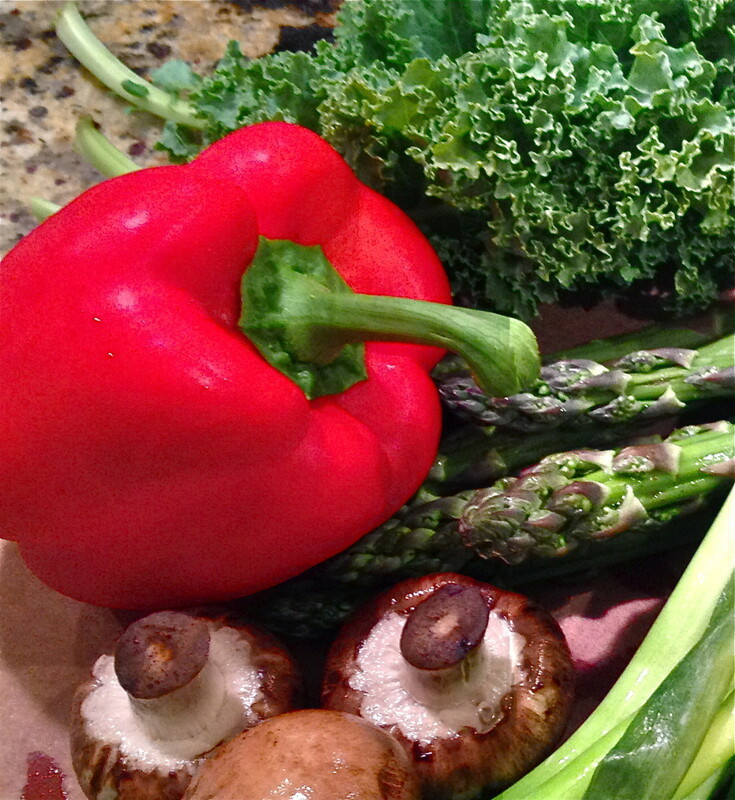 Add desired toppings, the more veggies, the better. It's your pizza so customize each side depending on preferences. Go easy on the cheese. Bake with toppings 8-10 minutes. The high sodium in pizza comes from two sources: the cheese and the sauce. 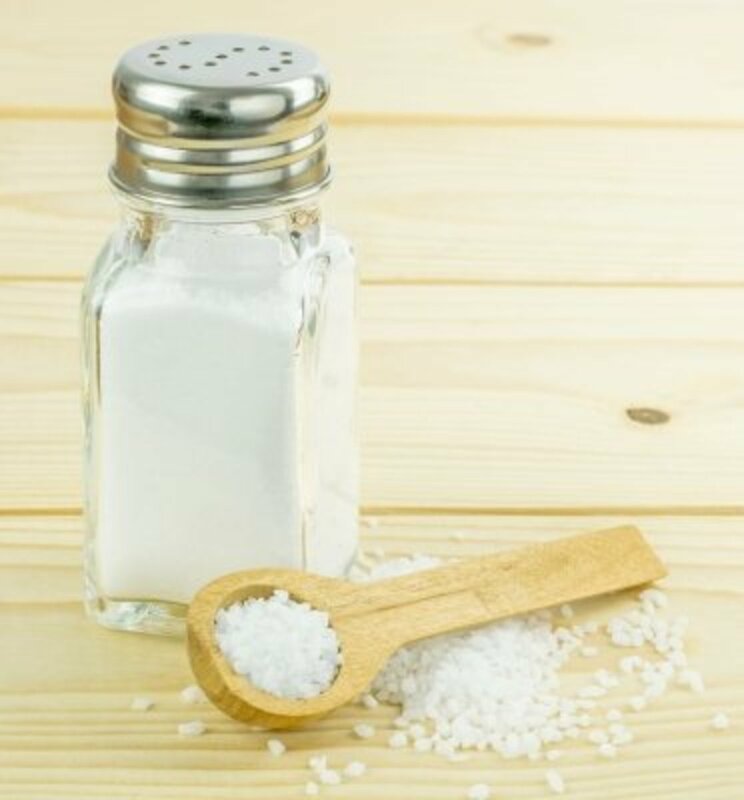 To make sure high sodium doesn't creep into your homemade creation, go easy on the cheese and steer clear of the store bought cans and jars of pizza sauce. Use the recipe below to make your own homemade sauce. At only 7mg of sodium per serving, it is low in sodium and full of flavor. Consider the levels of sodium in store brands below. So flavorful and delicious, you won’t believe that this pizza sauce only has 9mg of sodium per serving! 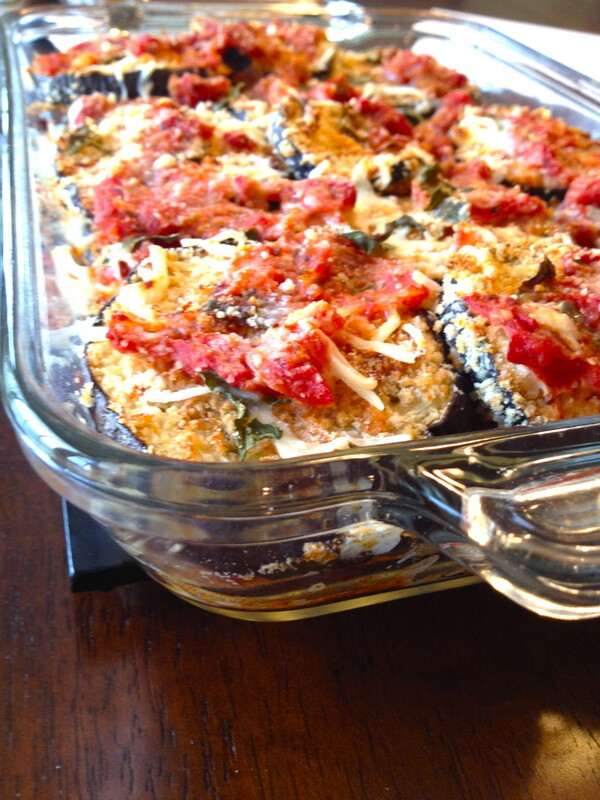 This recipe makes a double batch (12 servings) that can be used for two pizzas. You can use half now and freeze the other half for your next pizza night. In a medium saucepan over medium-low heat, sauté onion for 6 to 8 minutes until onion is soft. Add garlic and sauté another minute. Add oregano and remaining spices and cook for an additional minute. Stir in tomato sauce and paste. Simmer over low heat for about 10 minutes. Below are some healthy and tasty toppings to add to your pizza. Be generous with the veggies and herbs so that you can go light on the cheese. Don't limit yourself to this list. 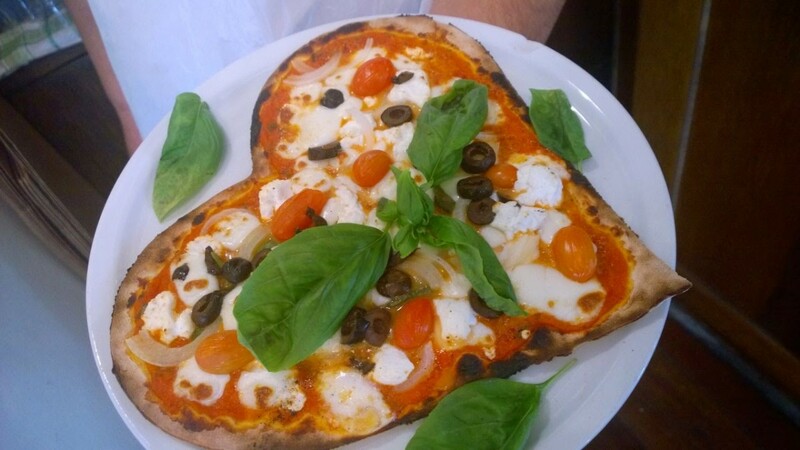 Be creative with your toppings and make it your own pizza creation! Pack the veggie toppings above on your pizza but go easy on the cheese. Cheese is the primary source of fat, the saturated variety, and sodium on your pizza. Try one of these cheese varieties below cubed, shredded, grated or crumbled. 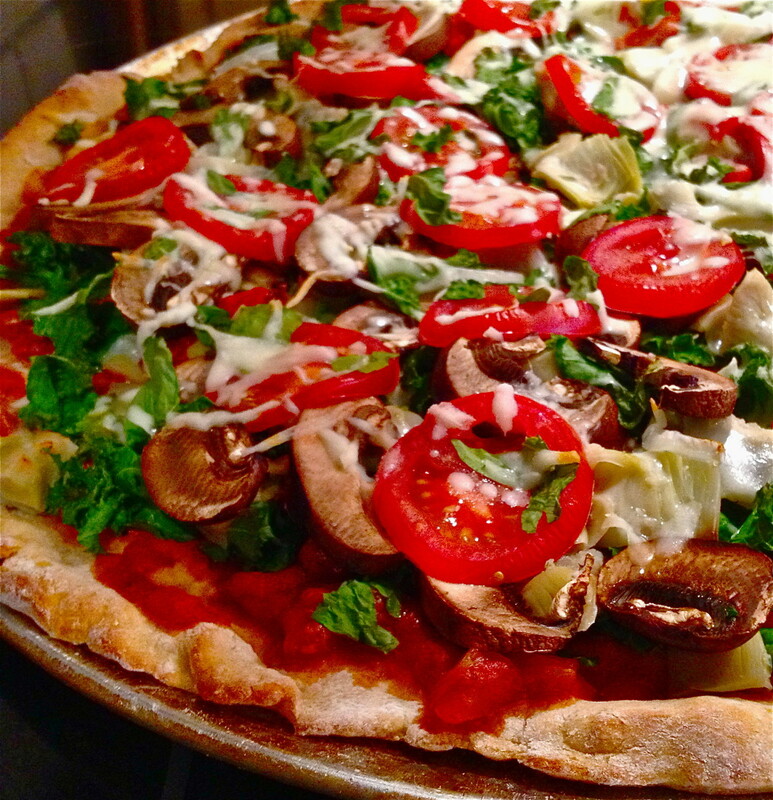 What's your favorite veggie pizza topping? 1"The Pizza Market in the U.S.: Foodservice and Retail." : Market Research Report. Packaged Facts, 14 Sept. 2012. Web. 22 Aug. 2014. <http://www.packagedfacts.com/Pizza-Foodservice-Retail-6739179/>. "Facts About Frozen Pizza." Frozen Pizza Facts. National Frozen Pizza Institute, n.d. Web. 22 Aug. 2014. <http://www.frozenpizzafacts.org/facts-about-frozen-pizza>. I love spinach on pizza too, colorfulone, and now have a new love of arugula to add (fresh on top). Thank you so much of your comments, voting up and sharing! 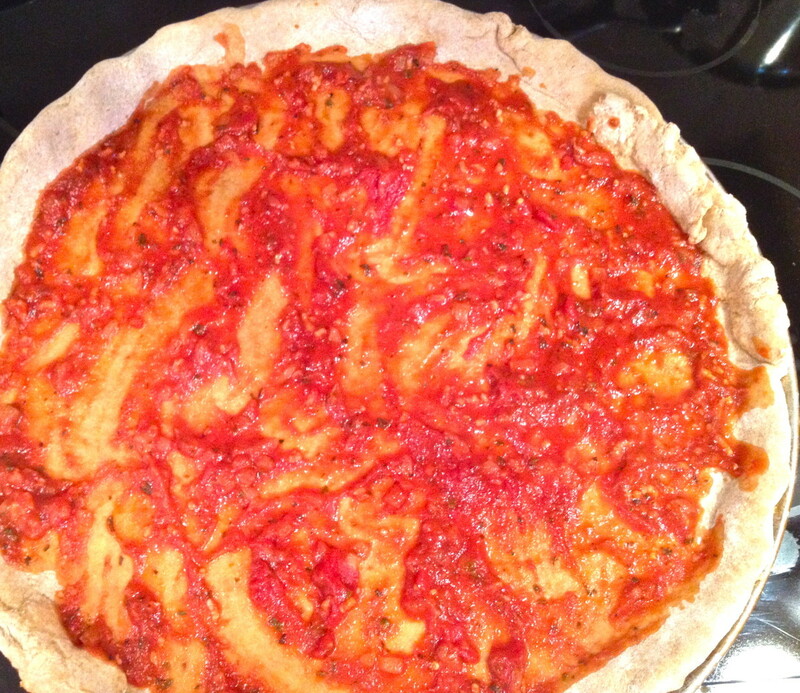 Thank you for the whole wheat pizza crust recipe and so many yummy topping ideas. 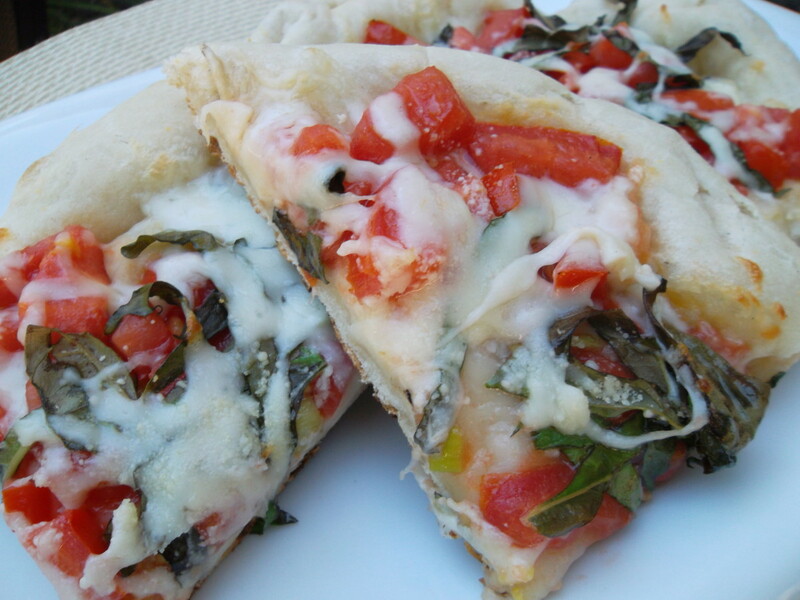 My favorite topping for pizza is spinach, it adds such a wonderful flavor to pizza. - Voted up and sharing. Thank you, Suzanne! I was just filling out my Hub Awards form and thought about how super helpful you and Flourish have been to me! You both inspire me to write on! I love making pizzas and use my mini pizza machine to do a woodfire-like finish. 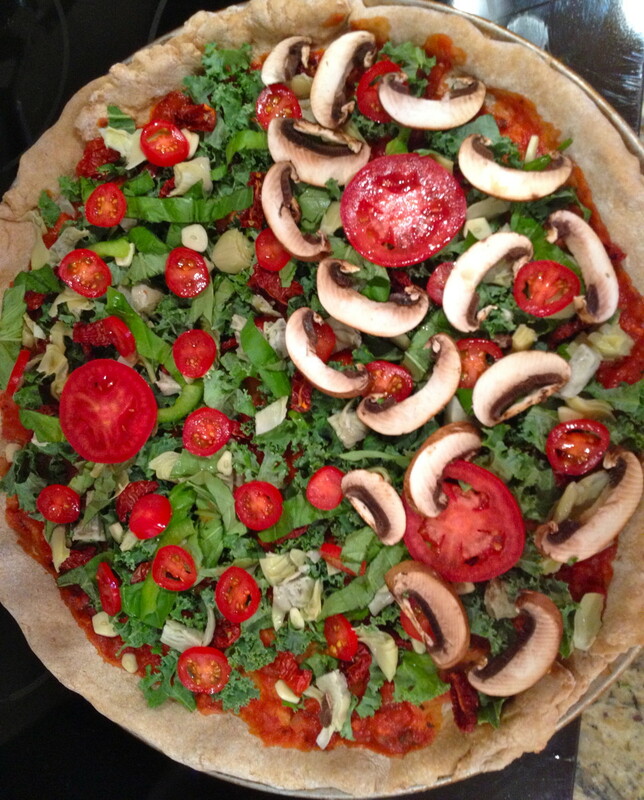 Basil and tomato pizzas are the BEST but your vegetarian pizza recipe is definitely one on my list to try! Voted awesome. Looks delicious and a very enticing hub!